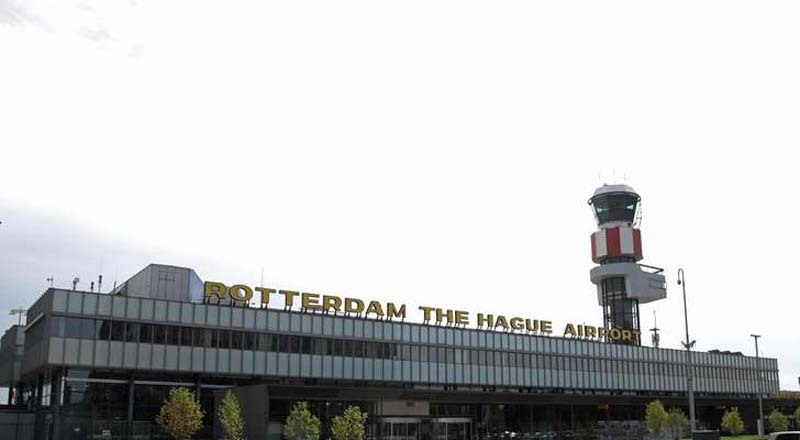 Robots are continually making their way into hotels, train stations, and airports all over the world, and the newest ones have just appeared at Rotterdam The Hague Airport. Once travelers drop their suitcases and baggage on the conveyer belt at check-in at Rotterdam The Hague Airport, it will then be picked up by self-driving carts called “fleet vehicles” and taken to the proper aircraft. This temporary experimentation by the airport is a move by airport authority to see if robots can deliver baggage more quickly than current machine-sorted methods. “Now the autonomous carts find their way themselves, and sort as well as transport the suitcases,” said Koen Evers, a spokesman for logistics company Vanderlande. Evers also told RTV Rijnmond that the robots should make the system more efficient and reduce the number of lost luggage. This trial run began on Monday, November 5th, and is expected to continue for three months. While customers will supposedly benefit from these robots, DutchNews.nl reported that the commercial director said that daily work for the ground crew will also be a little easier than normal.